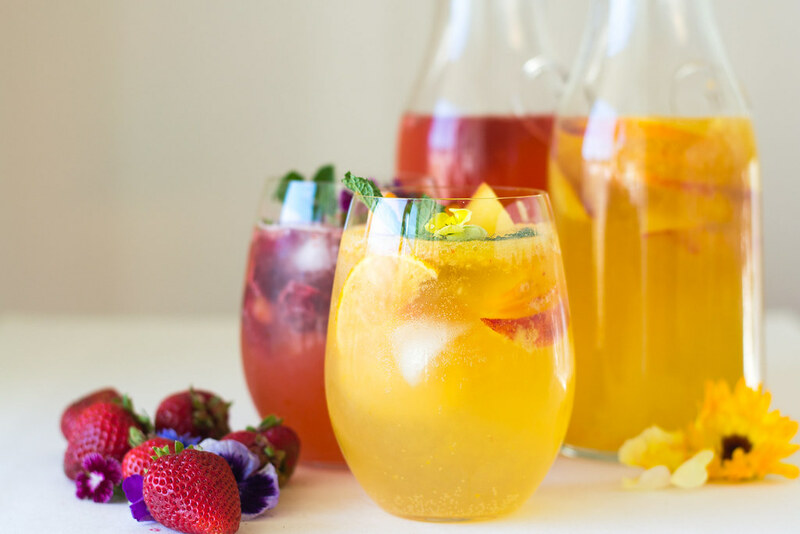 Home » Fruity and Floral Sangria- Two Ways! It doesn’t get more colorful than this! Cocktails have been on repeat at the Ferraro house. Testing and sipping, it’s all about quality control, of course. 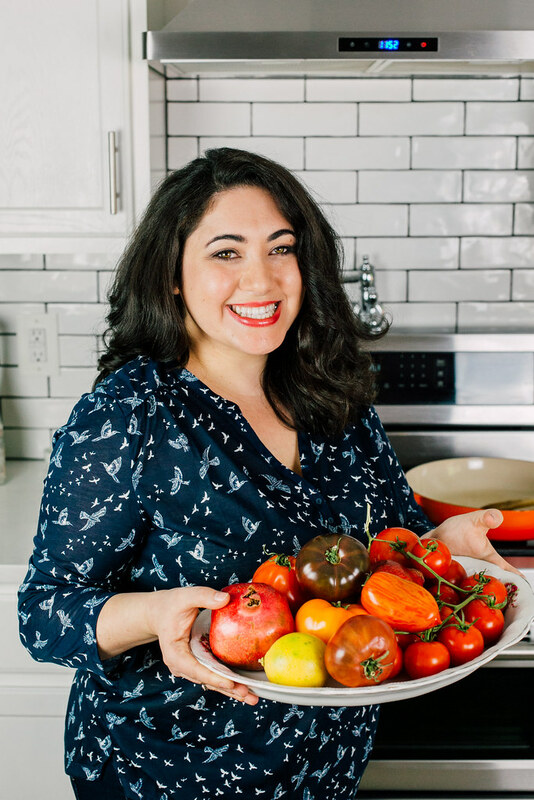 I took some inspiration from my favorite Sephardi flavors, rose water and orange blossom water and created 2 very floral and addictive sangria’s. These are so delicious, even my Manhattan drinking hubby requested round 2. Remember all those strawberries we picked last month? Freeze and blend and I’m telling you, you have the sweetest cocktail mixer. Use any fruit you have, but try and get the sweetest of them. 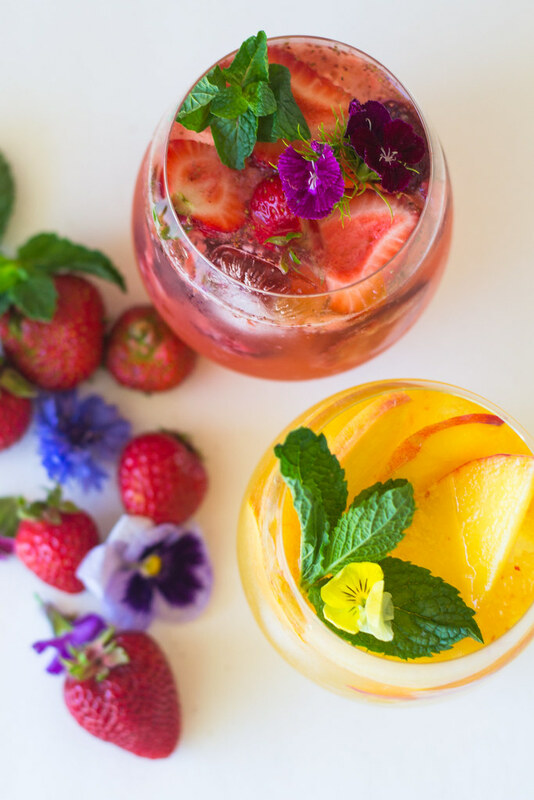 Add to your sangria, top with edible flowers and sip away. Cheers to summer! 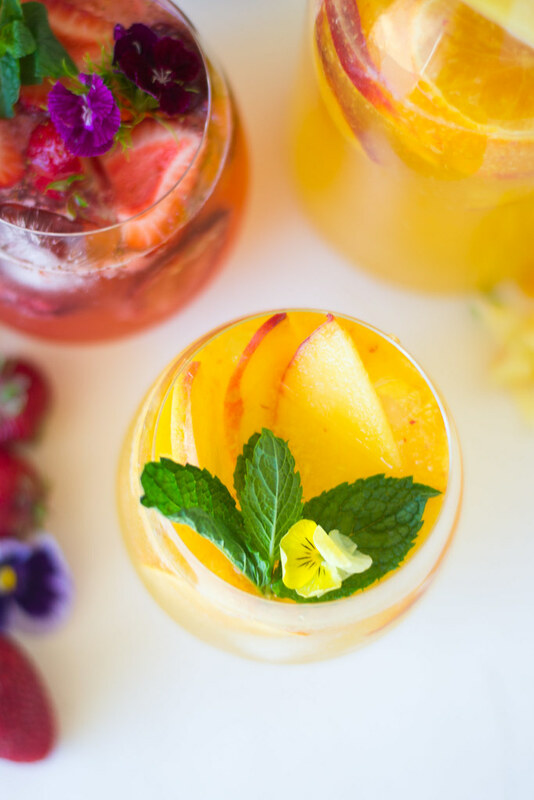 Find the recipes for Rose Strawberry Sangria and Peach Orange Blossom White Sangria on The Nosher!